We all travel. We all pack bags to carry stuff with us as we go. We all live life. We ALL will pick up some baggage along the way. Baggage is the excess from relational complications, life’s trials and emotional hiccups that exist as we navigate life. It’s the heartaches we experience. It’s the setbacks we encounter. It’s the emotional trauma we endure. If we don’t deal with things in a healthy way. If we don’t bring this ‘stuff’ to God for his healing touch, we can end up carrying this baggage. As we travel through life, we’ll acquire some baggage and burdens that we think we need to carry with us. We either carry them because we wear them as a badge of our identity. We can end up carrying them because we can’t seem to picture what life would be like without them. Sometimes they can even create a false sense of security. But whatever they are, wherever you picked them up – they’re heavy. They’re burdensome. They’re NOT life-giving. They drain you, steal joy from you and can rob you of hope. The question is: Do you want to get well? 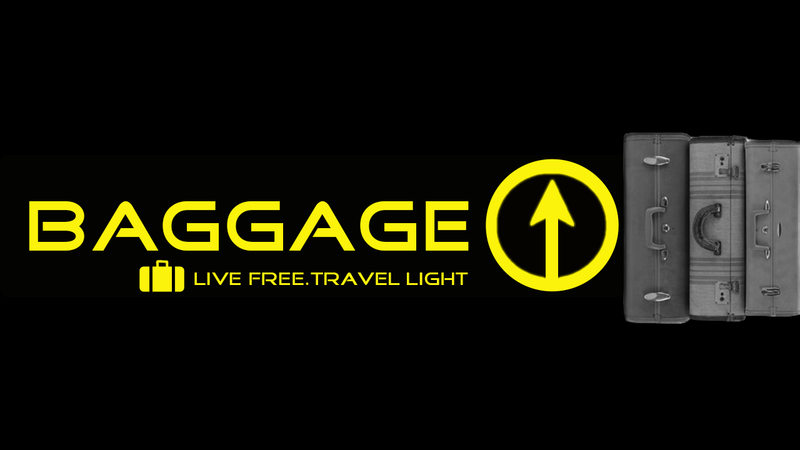 Do you want to let go and travel lighter?